Lamps of PARABOLA series play with colors and materials producing strong contrasts and breaking the classic relation between diffuser and light. Diffusers in pmma and bar in aluminium. 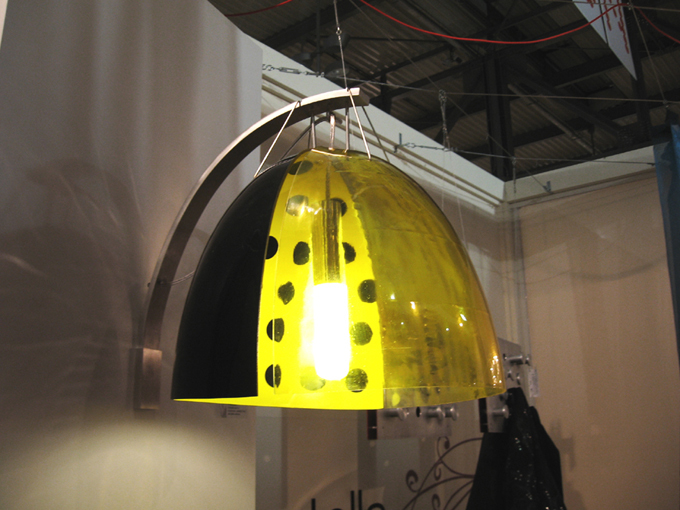 Available also in suspension, spotlight, floor and table versions. Design copyrighted and registered (2005).